Since starting teaching I’ve noticed that a lot of teachers like to use pentominoes for various activities. You can move and rotate the pieces with a mouse (to rotate use the rotation handle that appears when you click on a piece), it should also work on touch devices. Feel free to have a go here if you aWnt. 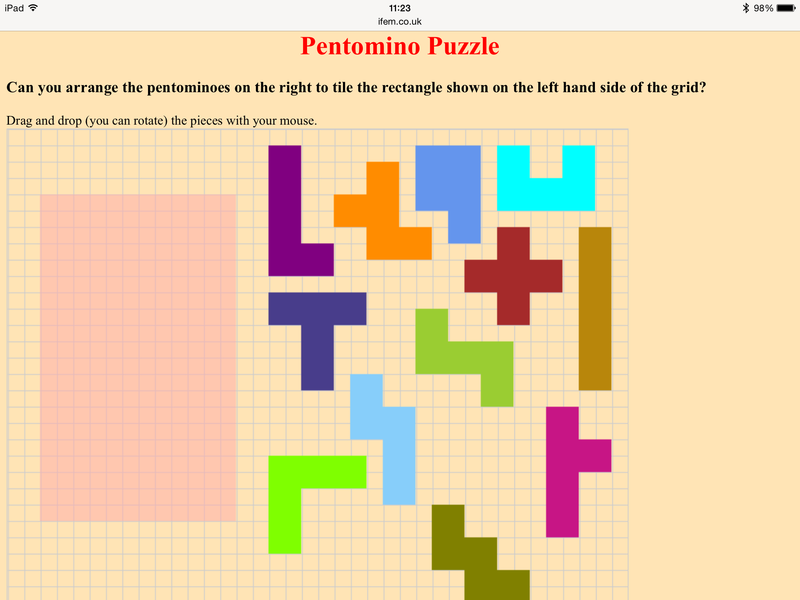 The objective is simple – rearrange the pentominoes to tile the rectangle on the left hand side of the screen.